Professor Barbara Fazekas de St Groth is an immunologist who heads a research group at the University of Sydney. Her work is aimed at understanding how the immune system is regulated and, in particular, how dendritic cells and regulatory T cells control the activation and differentiation of CD4 T cells. Prof Fazekas de St Groth graduated in medicine with first class honours from the University of Sydney in 1981 and worked as a Professorial Intern and RMO at Royal Prince Alfred Hospital, Sydney before completing a PhD with JFAP Miller at the Walter and Eliza Hall Institute in Melbourne. She then undertook postdoctoral training with Mark Davis at Stanford University. 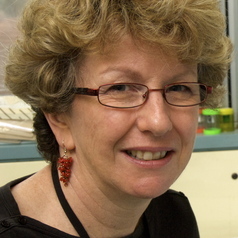 She returned to Sydney in 1991 to set up a laboratory at the Centenary Institute, where she was appointed Associate Professor in 2000 and Professor in 2007. In 2016 she moved to the Sydney Medical School, where she holds a Professorial appointment in the Discipline of Pathology and is the Founding Director of the Ramaciotti Facility for Human Systems Biology. She is best known for her work using T cell receptor transgenic mouse models and multiparameter flow cytometry to define fundamental immune processes. More recently she has focused on the role of regulatory T cells in human disease. Together with colleagues at the Centre for Immunology in Sydney, she discovered a novel phenotyping strategy that allows pure populations of human regulatory T cells to be isolated and manipulated for use in the therapy of graft versus host disease and organ graft rejection, in addition to autoimmune disease and allergy.